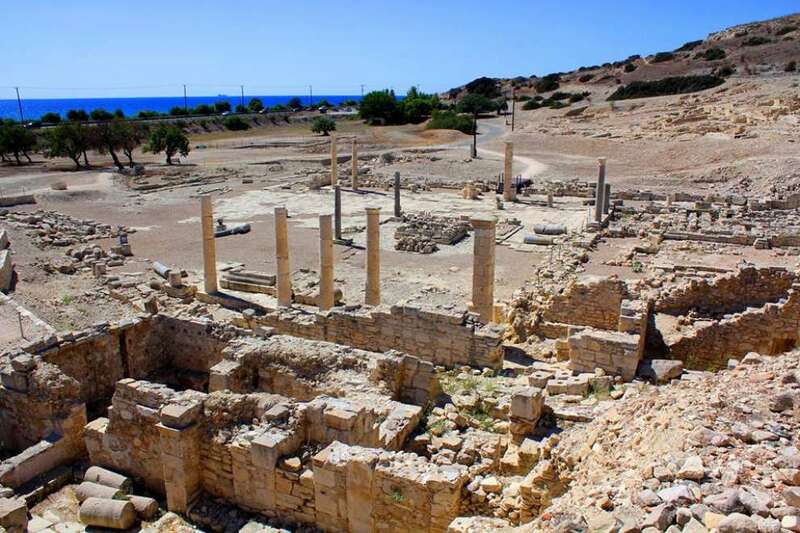 Amathus was an ancient city-state in Cyprus, near the present city of Limassol. It is a coastline with stunning views of the Mediterranean Sea on the south side of Cyprus, east of Limassol near Agios Tychonas and next to the sea. According to mythology, the founder of Amathus was one of Heracles' sons, Amathus. The name of Amathus comes either from him or from the nymph Amathus, mother of the King of Pafos Kiniras. Archaeological research has shown that the area of ​​Amathus is inhabited since the 11th century BC. Originally it was small, built on a fortified hill by the sea, around the 8th century BC. the port was built, which was extended to the Hellenistic years. In Roman times, Amathus was known for the temple of Aphrodite and Adonis and was the capital of the administrative district, and with the prevalence of Christianity, it became the bishop's seat. It flourished until the 7th century AD. and then was probably abandoned because of the Arab raids. The only thing that is certain is that the area was inhabited at least 3,000 years ago. In Amathus, the first discoveries were made during the Frankish era and concern the great stone vessels on the acropolis. In 1893-1894 under the direction of British archaeologists, the first excavations were made, while in 1930 the Swedish Mission excavated several ancient tombs. After the independence of Cyprus in 1960, several rescue and systematic excavations were carried out by the Department of Antiquities, and since 1975 the French Archaeological School of Athens has undertaken systematic excavations on the acropolis and other parts of Amathus. Archaeological excavations at the Amathus site by workshops of Cypriot and French archaeologists began in 1980 and continue until today. The citadel, the temple of Aphrodite, the market, the city walls, the basilica, and the ancient harbor are visible in the water of the sea. The acropolis was a natural fortress and at the same time worked as an observatory, due to its location (on a hill). 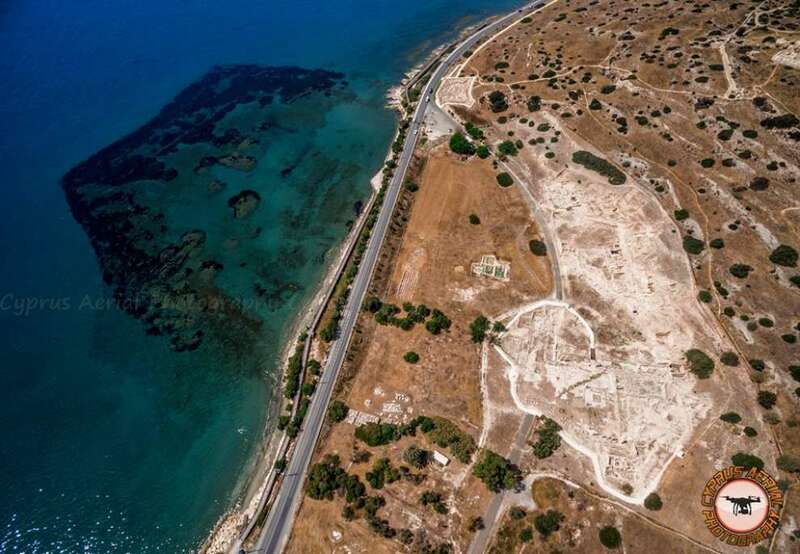 There are some vague written references from ancient times and some controversial archaeological evidence, according to which the inhabitants of Amathus were indigenous. The ancient city of Amathus experienced great prosperity and had remarkable commercial relations with its neighbors during the Archaic period. Evidence shows that a number of Finnish merchants were also established in Amathus. During the revolt of the Cypriots against the Persians, which followed the Ionian Revolution of 499 BC, Amathus maintained a pro-Persian attitude, which led to its siege by the insurgents under the leadership of Onisilos. Amathus was abolished as a kingdom just like the kingdoms of other cities of Cyprus during the Hellenistic period, at 312/311 BC, with the annexation of Cyprus to the Ptolemaic state. So the acropolis was abandoned and life was now concentrated in the lower city. The lower city then experienced a temporary recovery in the time of the Antonine and the Severians. In the 4th c. A.D. the transition to Christianity found Amathus in a bad position and from there it declined. It seems to have been abandoned definitively at the end of the same century, although it survived the first Arab raids in the middle of the 7th century. The Basilicas: There are 5 basilicas in Amathus. The oldest is the cemetery basilica of St Tychon, built outside the walls to the east of the city. The first phase of the monument dates back to the end of the 4th century and is contemporary with the Holy One. It is a small one-storied temple, the oldest Christian worship site in Cyprus. The second phase dates back to the second half of the 5th century. The final phase of the building, which is visible today, is a Frankish temple of 14th-century charges. At the top of the acropolis, in the place of the sanctuary of Aphrodite, there is a second basilica, which is three-aisled, with narthex and exonartheka and has a patio with two galleries and adjoins. Several architectural members from the Aphrodite Sanctuary were used to build the second basilica and date back to the late 6th or early 7th century. Due to the raids of the Arabs in the last quarter of the 7th century it seems to have ceased its operation. A small three-aisled basilica at the foot of the acropolis and west of the market was built in the 5th century. A.D. A section of its northern walls has been carved in the rock. Also in the east of the Roman market a large three-aisled basilica with narthex and patio was excavated but unfortunately today it is partly destroyed by the sea. This large three-aisled basilica dates back to the second half of the 5th century. It was destroyed by the raids of the Arabs in the mid-7th century and was repaired a little later in the same century. A cave-chapel of Agia Varvara, as well as a small five-aisled basilica that was part of a monastery, was built at the eastern end of the eastern necropolis. The Palace: The ruins of an important complex that appears to belong to the royal palace of Amathus. It is located in the southern part of the acropolis and was built in the 8th century. BC. It is believed to have been destroyed around 300 BC. The part of the excavated building has been identified so far with the storage spaces of the palace. The Sanctuary of Aphrodite at the Acropolis: At the entrance of the sanctuary of Aphrodite there were 2 large monolithic vases dating back to the 7th century. B.C. One of these vases survives today (2018) in fragments on the spot, while the other was transported to the Louvre Museum in 1865. The temple of Aphrodite that we see today is dated to the Roman period, and its ruins occupy a significant part of the cemetery. The temple was built on the ruins of an earlier Hellenistic temple and follows the type of Greek temple. In the 5th c. AD, the area around the southern part of the temple of Aphrodite was used as a place of worship by the early Christians. The temple was destroyed in the 6th-7th centuries BC and in its place was built a large three-aisled basilica. The Roman Market and the Baths: The Roman market occupies the area of ​​the lower city located east of the acropolis hill. The Roman market was organized around a large stone-paved square. On the southern side there is the main street of the lower town. The other three sides were occupied by arcades. To the south of the market there is also a public bath. This consists of a circular enclosure and adjoins. The public bath and a section of the western market stall date back to Hellenistic times. both of which are the oldest buildings in the Amathus area. At the center of the market there was a monumental fountain. On the northwest corner, the most important building is a large fountain-fountain or Nymphion. To the east are the Roman baths and in the southeast a Hellenistic bath. West of the market continues the excavations in a complex of buildings including administrative buildings dating from the Roman to the Early Christian period. The marketplace was abandoned in the 7th century by raids by the Arabs. The Harbor: In front of the market was the outer harbor of Amathus. Even today (2018) his ruins are distinguished beneath the sea. It was built in the late 4th century. B.C. by Demetrius the Poliorketis for the defense of Amathus, in a period of conflict with the Ptolemies because of the claim of power in Cyprus. 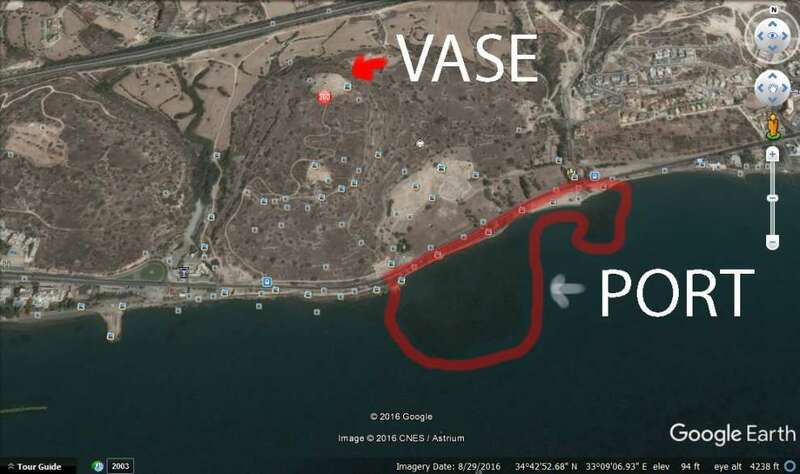 Surveys showed that the harbor quickly got off the sand and so its duration was not long. There was also an internal harbor where ships were towed to protect themselves from the strong winds between the entrance of the archaeological site to the market and the current road. The Walls: The city of Amathus was walled from all sides since the Archaic period. The walls were reinforced during the Hellenistic era, when the port was constructed. Nowadays the southwestern corner of the seaside wall with the western tower, and a large part of the north wall with towers, is saved by the sea. The northern wall joined the foot of the acropolis with the tallest point of the lower city. The central gateway from which the people coming from the hinterland enter the city. A new wall was built at the top of the acropolis due to the damage caused by the time and the collapse of the coastal wall caused by the earthquake of 365 AD, while in the 7th century the walls were reinforced in some places in view of the Arab raids. The Necrons: There are two extensive and important necropolis with carved tombs, dating from the geometric to the Early Christian period, east and west of the city of Amathus. Part of the material found in the necropolis is exhibited today (2018) at the Limassol Provincial Museum. The ancient city of Amathus, today (2018), is accessible and access is very easy since it is located on the main road of the tourist area. Guests can explore the site and see rare archeological treasures of thousands of years. The various finds come from various tombs and date from the Archaic to the Roman and Christian Periods.